What does it take to be a successful, tech-savvy CFO in today’s digitally modernized world? Discover how trailblazing companies are facing their most pressing challenges in finance by leveraging cloud-based accounting technology to stay ahead of their competitors- using artificial intelligence, automation, and real-time visibility. 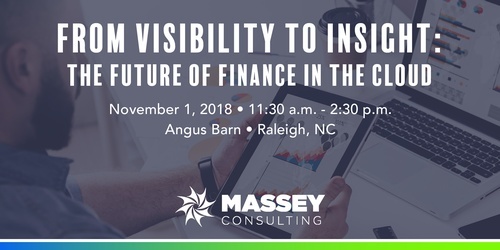 The area's top finance leaders will receive insight on how embracing a modern, growth-ready technology infrastructure for finance is allowing C-level professionals to make data-driven decisions during rapid growth.